Back pain is one of the major causes of disability in America. It is one of the most common types of pain that is suffered by almost 80 percent of the people in the country at some point. Even though it is a disorder that can affect a person at any stage of his life, most of the people that develop back pain are in their 40s or above this age range. Women are most likely to become victims of back pain then men. It is suggested that the main cause of back pain is old age. As the person becomes older, his bones start to deteriorate and a degenerative process begins which affects the discs present in the spine along with the facet joints. 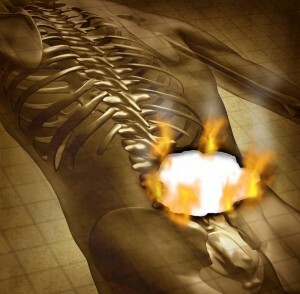 When these discs lose their ability to absorb pressure, the person may start feeling this pressure on his back resulting in back pain. Smoking has also been identified as a major reason for increasing cases of back pain being reported in the United States. Low back pain is one of the major reasons for missed work in the United States. It has also been identified as the leading cause of job-related disability in America as well. 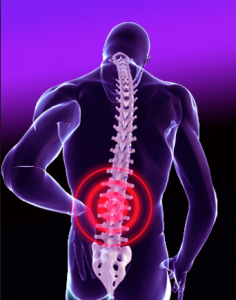 Each year the number of people becoming disabled due to low back pain while working is about 5.4 million. According to studies the reason for the development of low back pain in most adults is working in an environment where their back is put under a lot of stress. Almost 50 % of working Americans complain of having suffered back pain in some degree while working. This is an indication that working people are most likely to develop symptoms of back pain. Work related injuries are also a cause of back pain disability in America with 19% of the people getting injured during work sustaining back injuries. Back pain is the most common reason for hospital visits in America which is only superseded by respiratory disorders. Survey reports show that most of the people going to a doctor in the US are trying to find a solution to their chronic back pain. Each year Americans spend somewhere between $50 and $100 billion on treatments for low back pain which is a quite extraordinary number. Surveys conducted have revealed that the cost of treatment for low back pain is higher than for many other serious medical conditions. This is the reason why as many as 14 million people in the United States apply for disability checks from the government each year and this number is expected to rise in the coming years.